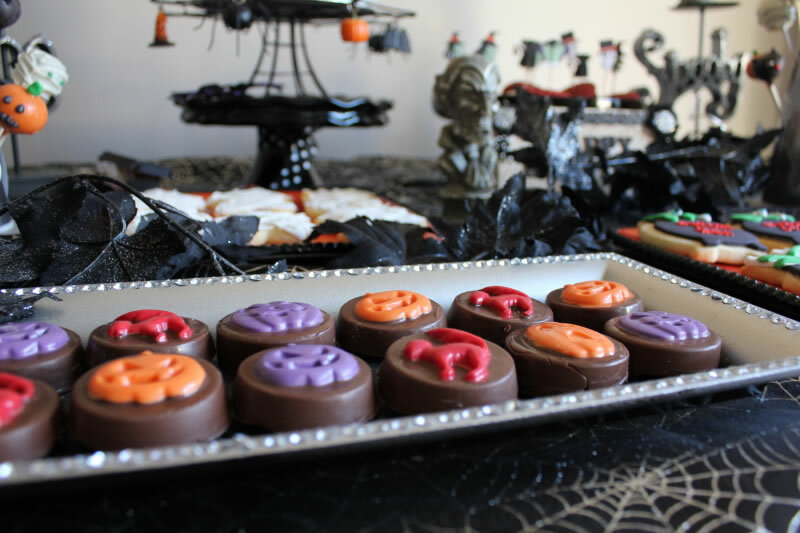 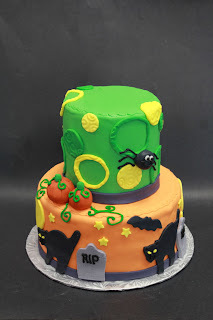 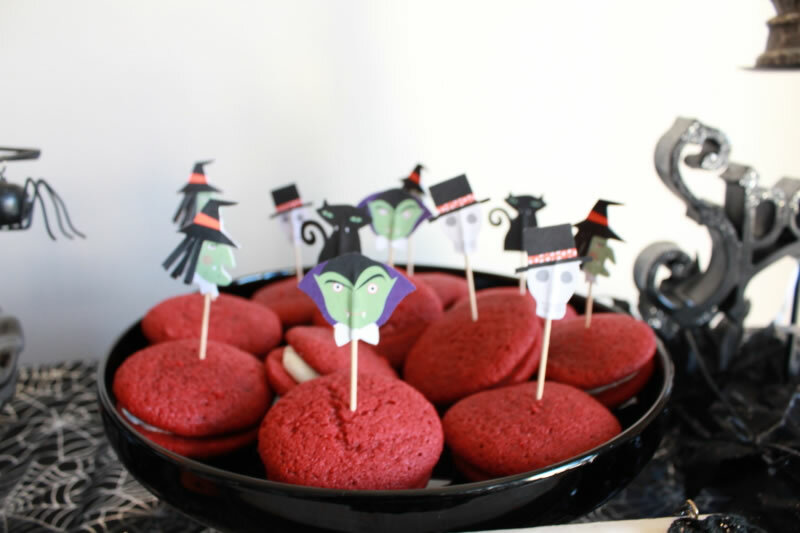 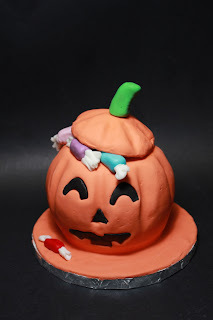 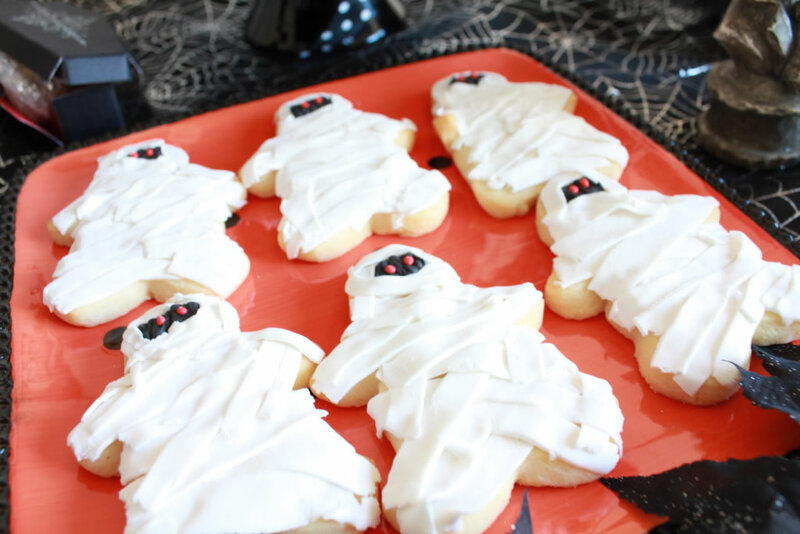 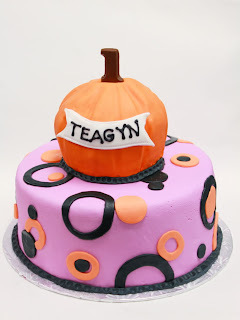 Whimsical Cake Studio Inc.: Spooktacular! 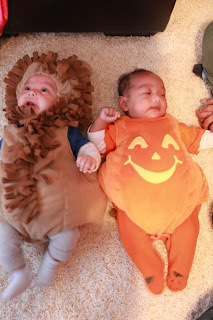 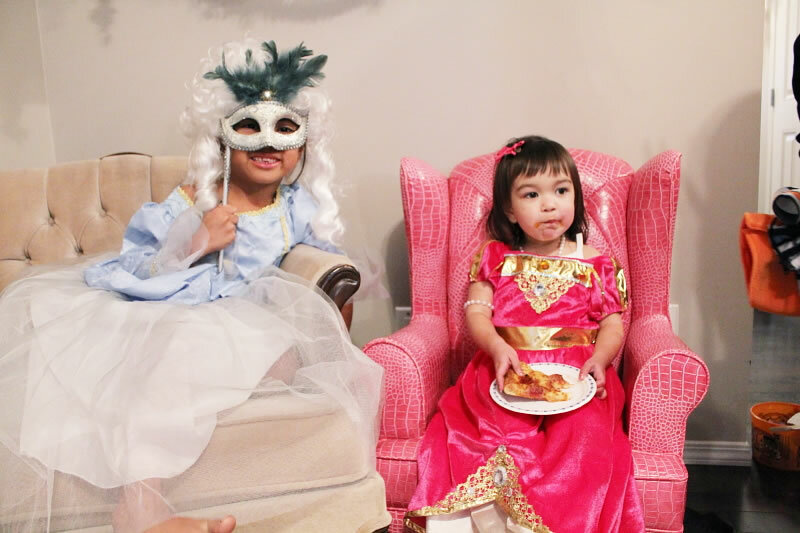 Halloween is so much fun for the kids! 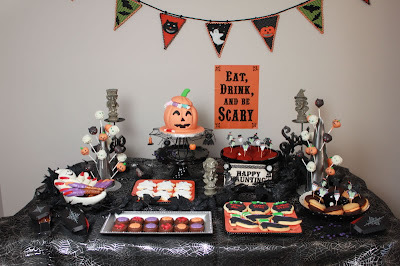 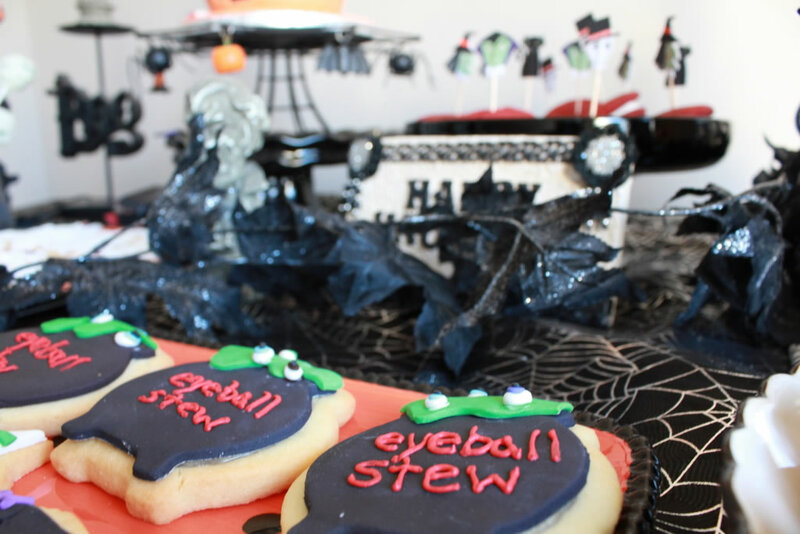 Now that we have one, it's a great excuse to have a Halloween party! Busted! 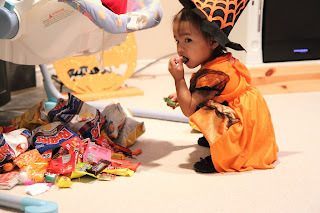 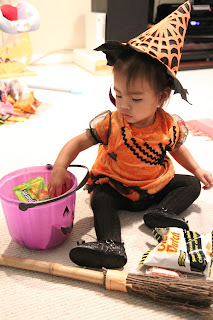 Sneaking candy from her cousin's pile! Ken and I played hooky from work this Saturday and decorated the backyard with a mini-spooky scene for a Halloween party! 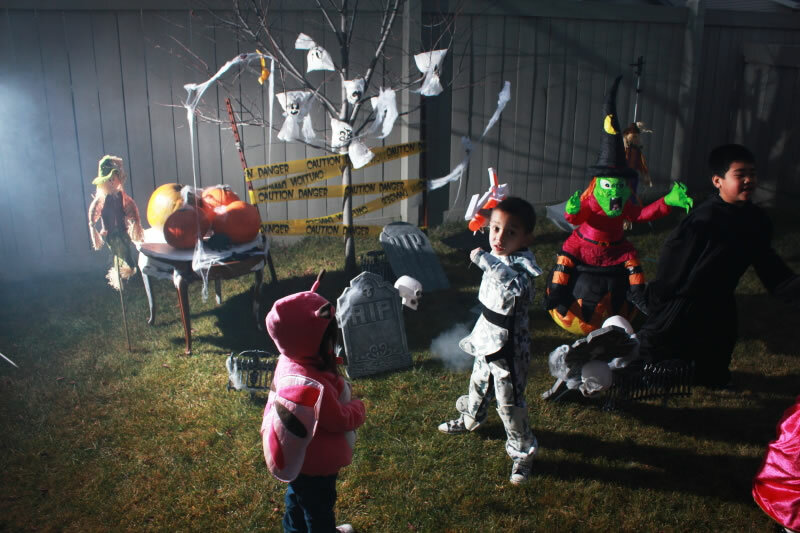 The weather so nice, the kids actually got to play outside...so Thankful for nice weather!!! Ken and his magic with flashes to make it look creepy...it was actually bright blue sky when he took this photo! 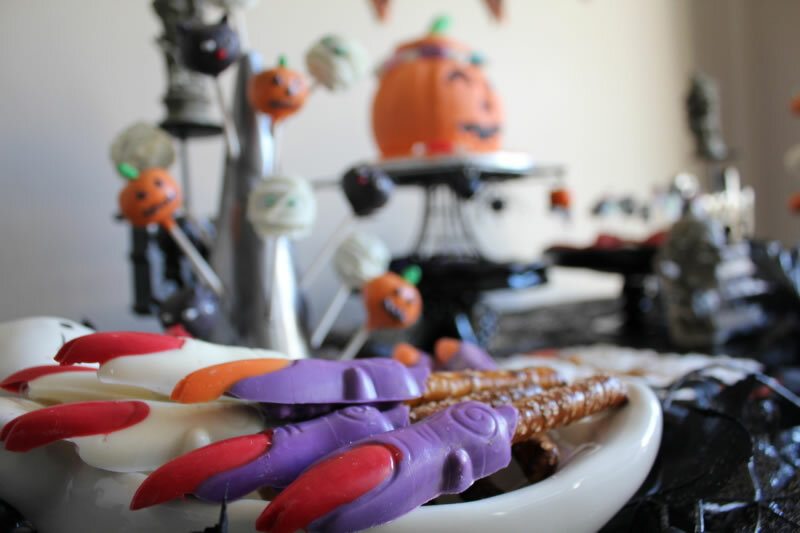 And inside....SWEETS and TREATS galore! 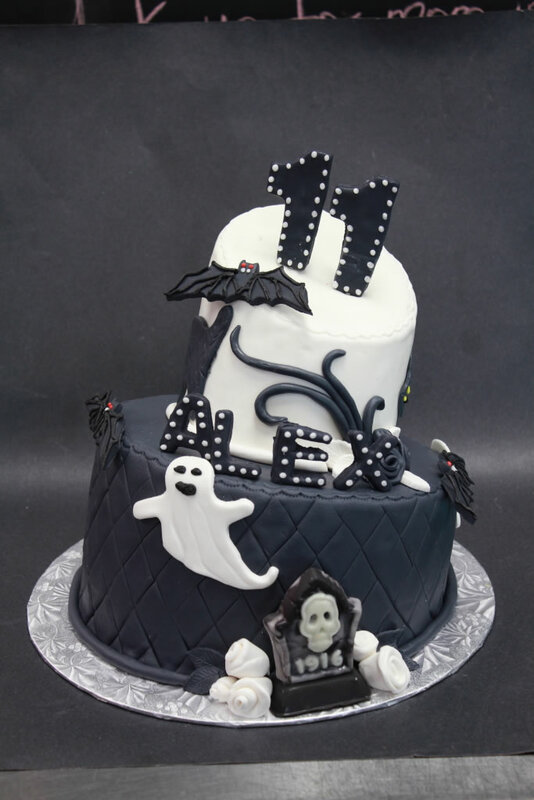 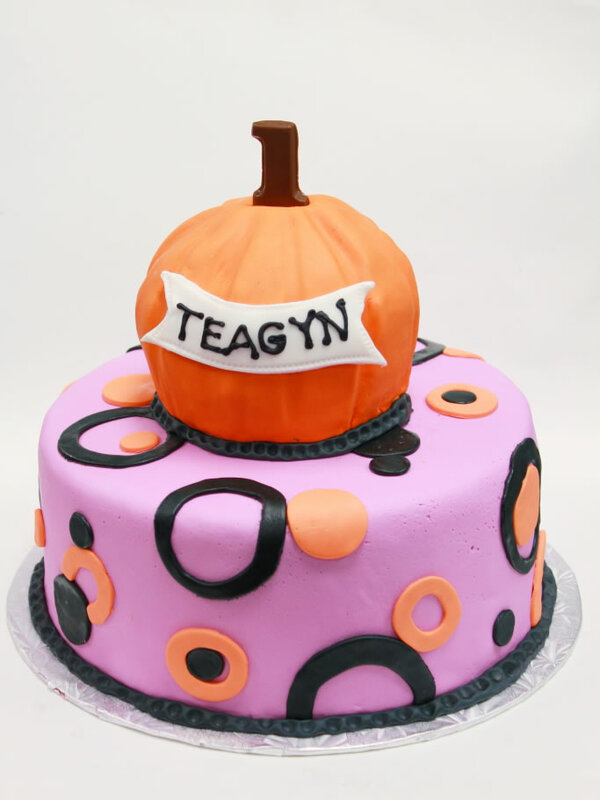 The shop was also bustling with Halloween themed cake and cupcake orders. 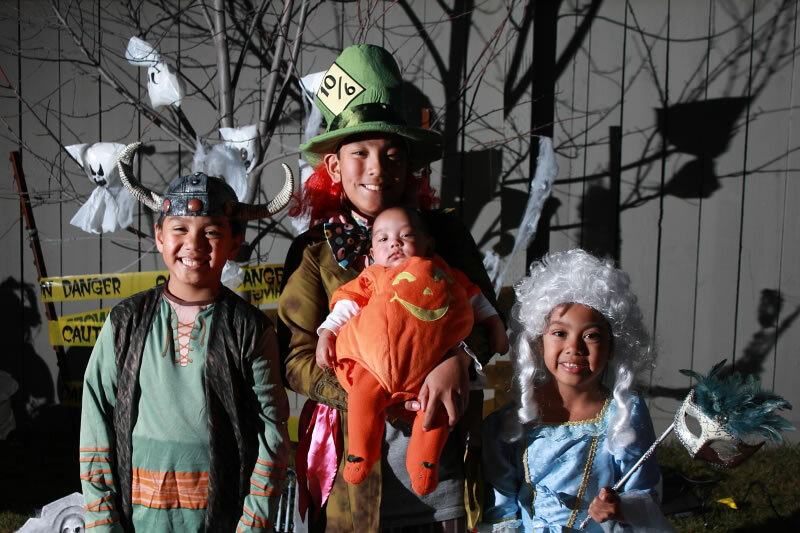 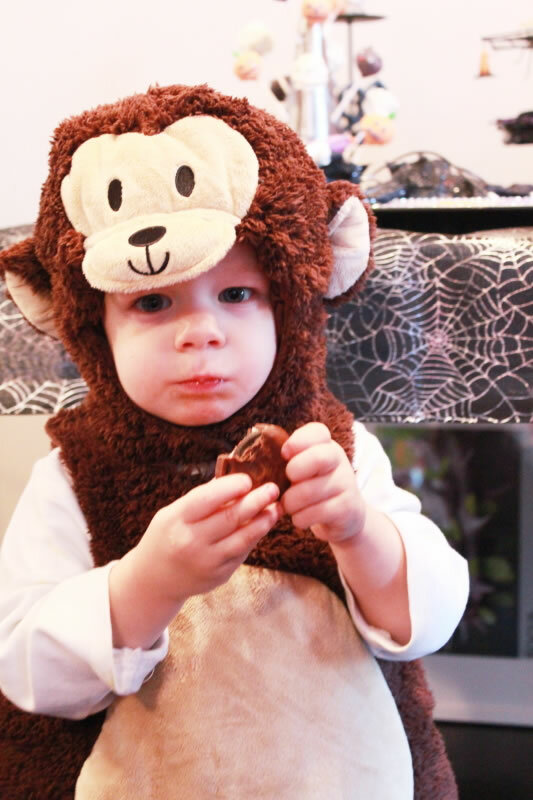 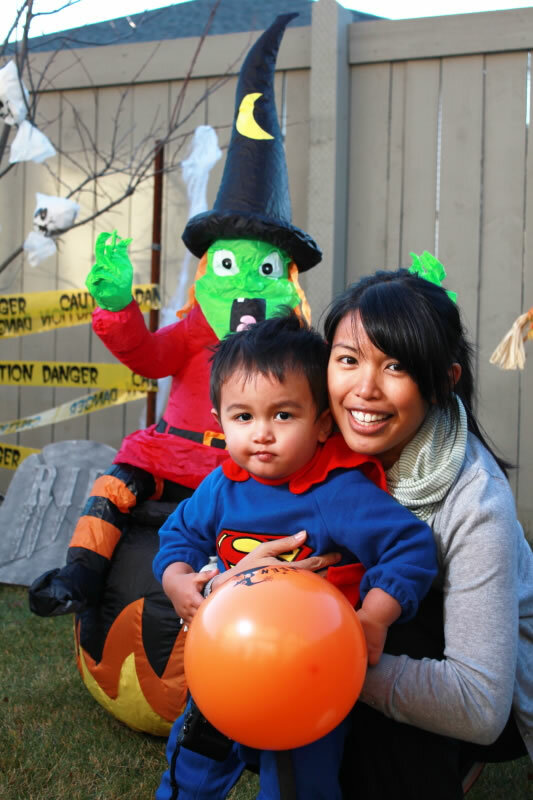 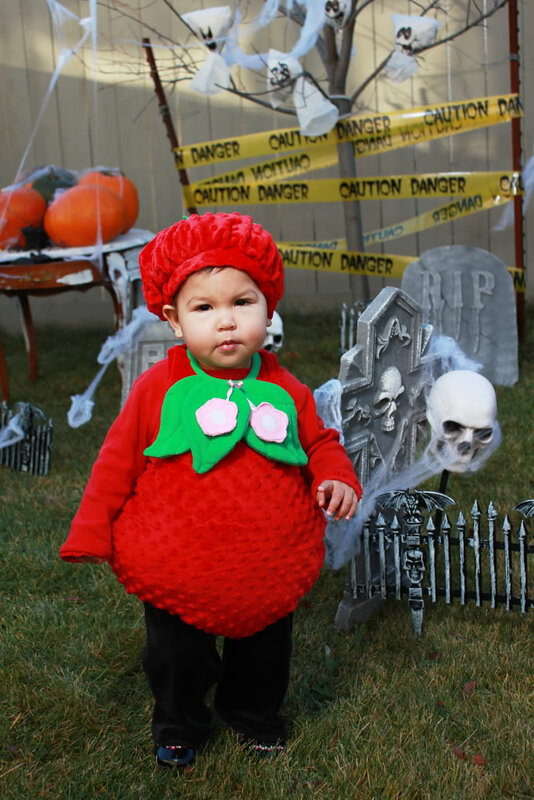 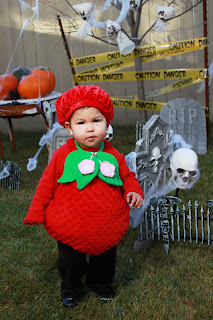 In the past 3+ years, we don't remember getting so many Halloween requests, but we loved it! 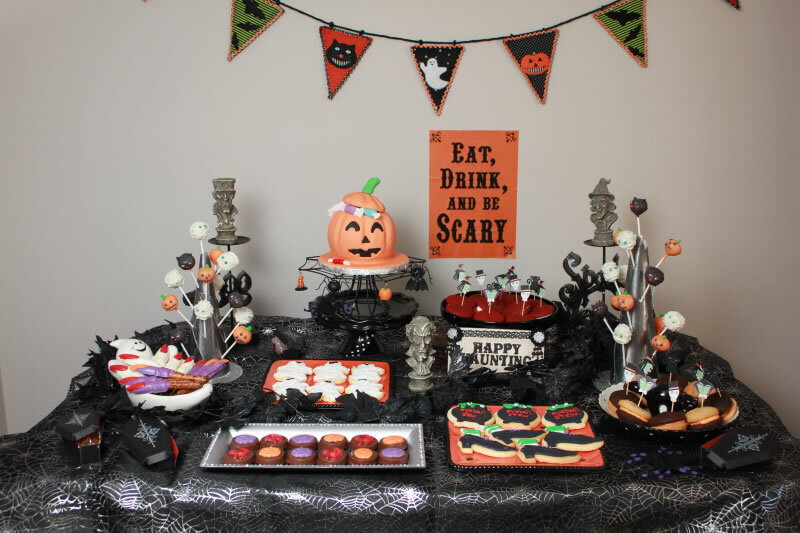 Here are just a few we did up for the weekend. 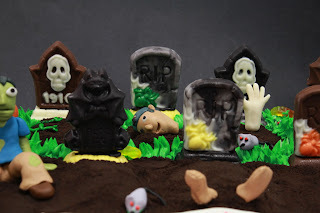 Cool Graveyard scene put together by Brenna, Heather and Aislinn. 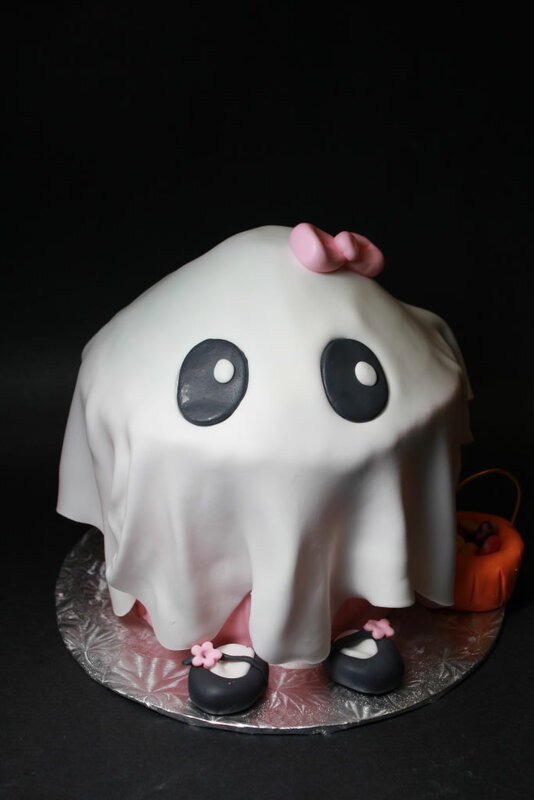 we added cute little angel wings to this giant cupake before it got picked up.